These presentation slides 40788 are complete compatible with Google Slides. Simple download PPTX and open the template in Google Slides. 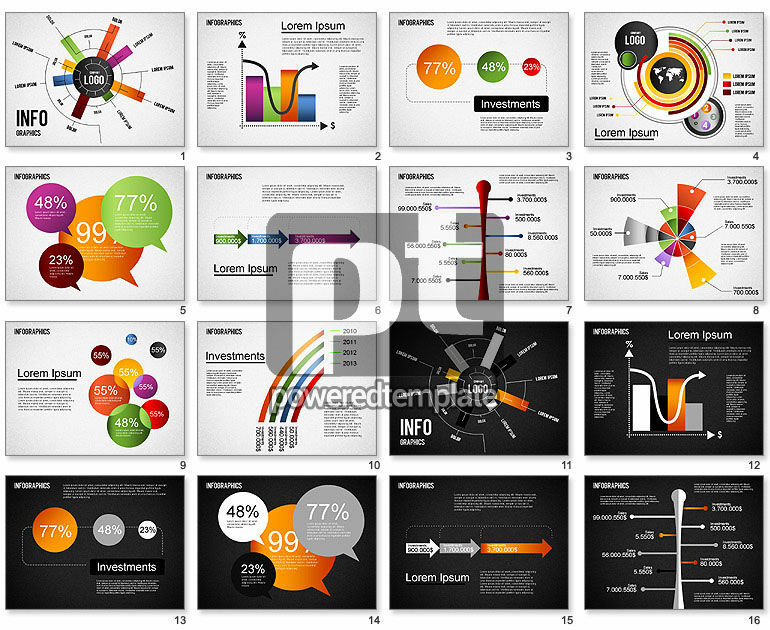 Such an adorable Infographics Toolbox template will help you to create a brilliant presentation dedicated to all kinds of product comparisons, results, productivity management, evaluation, marketing, comparative work, characteristics and values and so on. There are different colorful radar charts, a world map, percentage, bubbles, etc. It is proposed with two background color solutions to choose.